QUICK Black Friday has come early at Bevlan! As Black Friday quickly approaches, this year we thought we would release our Black Friday offers early so you can gurantee yourself a great deal! 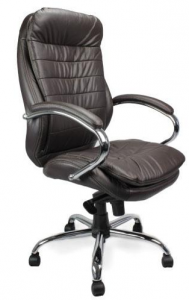 This year we have a range of offers on executive chairs and designer operator chairs, which really shouldnt be missed. 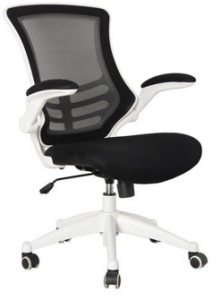 With HUGE price reductions on some of our most popular chairs you would be crazy to miss out! 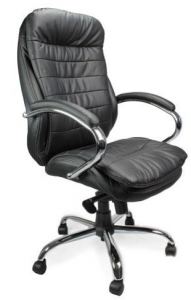 One of our most popular executive chairs, so grab it without the executive price tag attached! 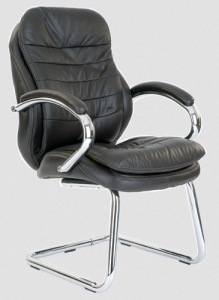 Medium Back Italian Leather Faced Executive Visitors Armchair with Integral Headrest on a Cantilever Frame. Stylish Design with Detailed Stitching. 35mm Round Tube 12 Gauge Steel Cantilever Chrome Frame. 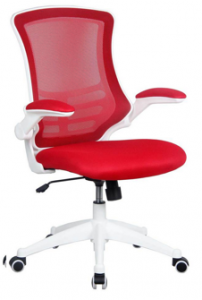 Generously Proportioned Seat and Backrest with Sculptured Lumbar and Spine Support. Chrome Armrests with Leather Pads Available in Black, Brown or Tan. High Back Italian Leather Faced Executive Armchair with Integral Headrest on a Chrome Base. 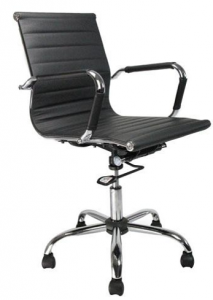 Again a very popular executive chair! Synchronised Mechanism for Simultaneous Adjustment of Seat and backrest. Fully Reclining Knee Tilt Mechanism with Tension Control. Available in Black, Brown or Tan. 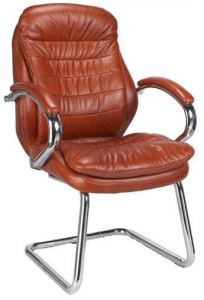 Contemporary Leather Effect, Stylish swivel Armchair on a Chrome Base. 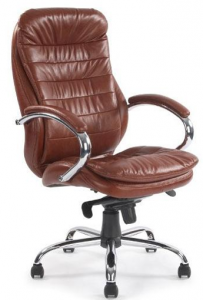 Stylish Leather Effect Medium Back Swivel Armchair. 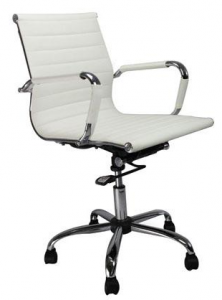 One Piece Chrome Frame with Rolled Top and Seat Base. Lockable in the Upright Position. 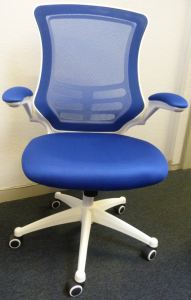 Designer, Mesh Back, Operator Chair with Folding Arms. 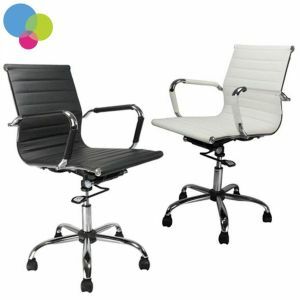 This chair is very popular for open plan, modern office areas as it adds a touch of colour and fun! Tilt Mechanism Lockable in the Upright Position.